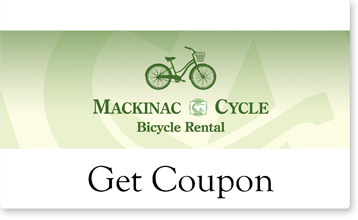 Welcome to Mackinac Cycle Bicycle Rental to learn more. 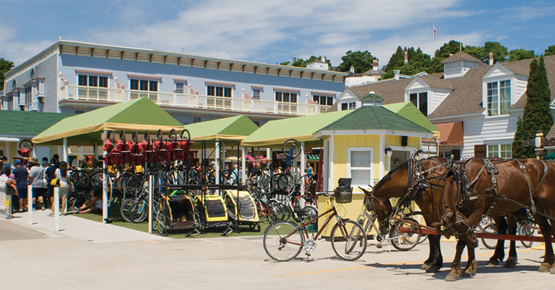 Mackinac Cycle is conveniently located at Arnold Dock on Main Street, across from the Mackinac Island Visitors Center. Look for our bright yellow kiosks with green awnings! We’re more than just a rental shop! We know you’re looking for a pleasurable riding experience. That’s why Mackinac Cycle should be your starting point for great bicycling adventures. 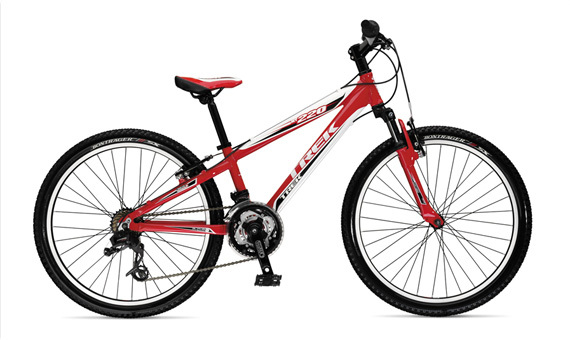 We offer top quality bikes and other equipment for rent, all maintained for your safety, comfort and enjoyment. Map out your biking adventure to the island’s top points of interest. Our FREE handy guide map provides you with easy to navigate, self-guided tours to the island’s top points of interest. You’ll visit incredible rock formations and see majestic views of the harbor, ride past Victorian estates and historic buildings on the island’s most beautiful bike riding trails. Our friendly staff will get you on your way quickly. It’s easy to get on your way. Our staff will help you select a bike and proper accessories and make sure you know how to operate your bike safely. Our full service shop offers biking accessories, repair parts, and provides expert repair service to all makes and models. If you need your own bicycle repaired, come see us and we’ll get you going again. Our bike rentals include the latest gear like our Specialized comfort bike available in Men’s and Women’s styles. Our goal is to give you a great bike and a fair deal. No deposit is required to rent our bikes. FREE extras included with every rental! 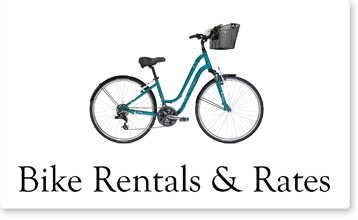 All of our bike rentals include free water, basket and helmet! Choose your ride for exploring the island. 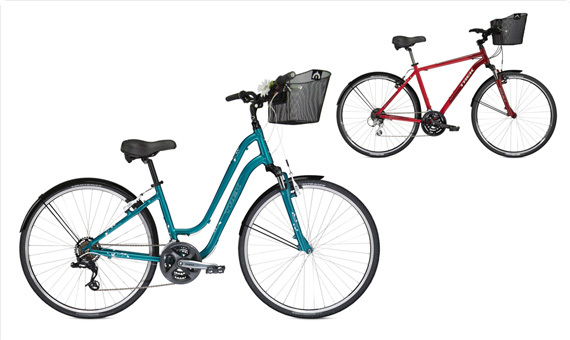 All bikes are available in both Men’s and Women’s styles. 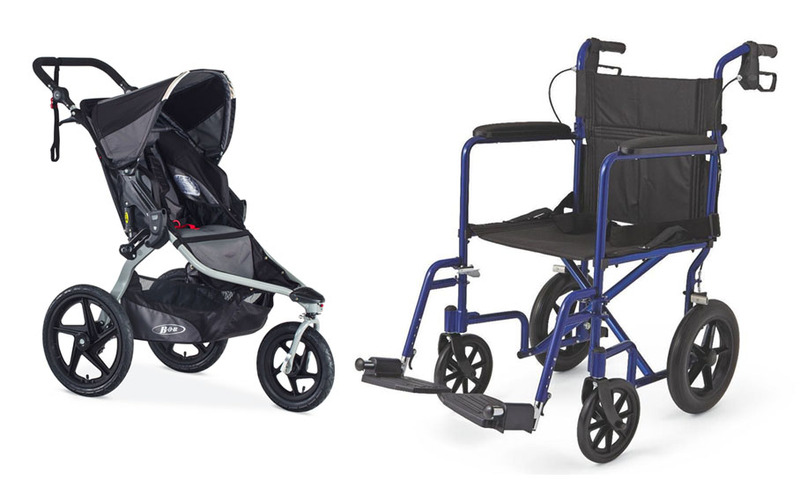 We offer motorized carts for the Mobility Disabled, plus pushchairs and baby strollers. 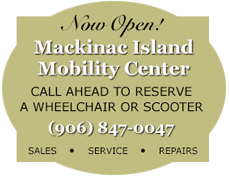 Mackinac Island Mobility Center is the island’s premier cholce for mobility scooters, as well as pushchairs and baby strollers. Our electric scooters are engineered for people who have some mobility but are tested by walking duration or distances. 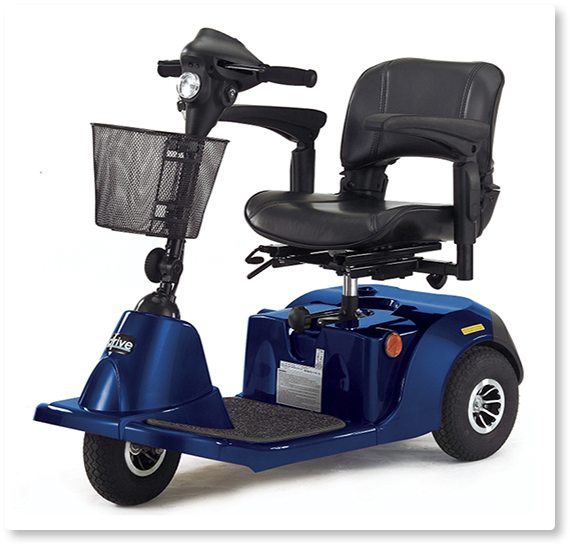 Rated for persons up to 250 lbs., they are comfortable and reliable, and easy to operate. They’re ideal for exploring Mackinac Island’s paved trails and main roads. Our pushchair and baby stroller rentals are great for those who don’t want to haul cumbersome gear to the island. Travel light and simply rent our top quality equipment by the hour, half-day or full-day as needed. Reserve your rental in advance and have it waiting for you when you arrive! 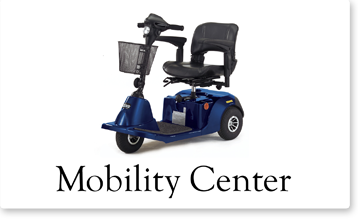 Don’t wait until you get to the island to set up your mobility center rental. Reserve an item in advance, and ensure its availability when you arrive. 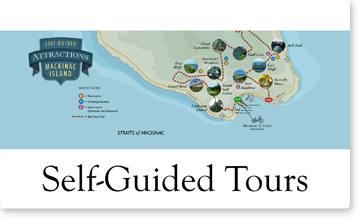 Ride a self-guided attractions tour of beautiful Mackinac Island. Mackinac Cycle is your headquarters for great bike rentals for an enjoyable riding experience while on your self-guided attractions tours. These tours are free and appropriate for all ages. If you can ride a bike, you can take the tour and will experience a relaxing pace while riding a top quality bike fitted for your safety, size and comfort. This adventurous tour is an “immersive experience” that takes you where no other island tour can! Great for bike enthusiasts of all ages, the attractions tour covers approximately 3 miles and can be completed at a leisurely pace within 2-1/2 hours, including time for photo opportunities and restroom breaks along the way. Once you’ve completed the loop, simply ride back to our bike shop, or feel free to continue exploring the island and historic downtown area. 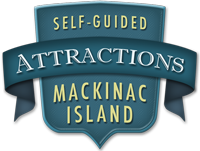 We recommend our 4 hour half day rental which gives you plenty of time to complete the self-guided tour, stop and visit area attractions, and see all of Mackinac Island’s exciting points of interest. Bring your camera. Photo stops and restroom breaks are provided along the way! 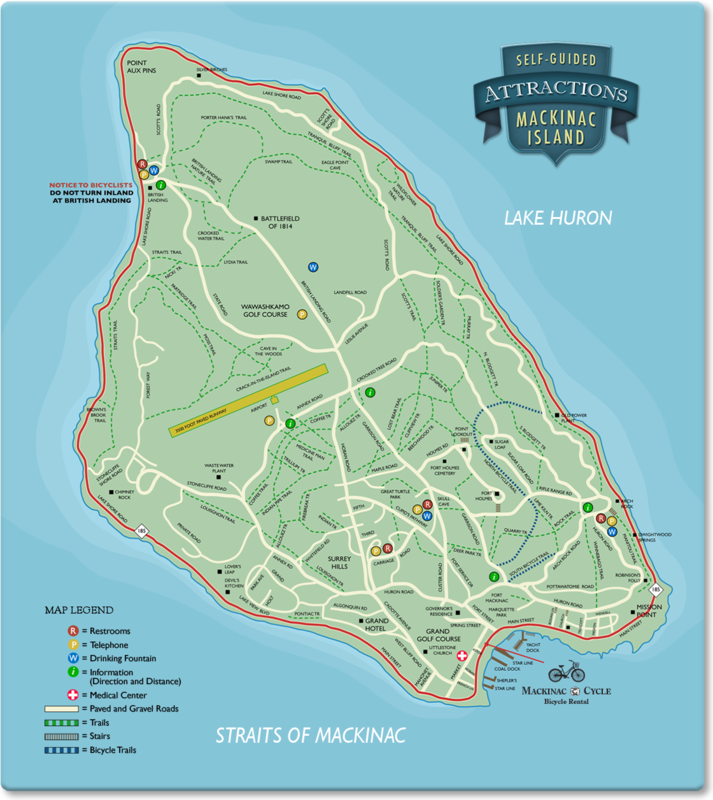 The M-185 Perimeter Tour is an 8 mile state highway that loops around Mackinac Island’s shoreline. From start to finish, the flat, smooth asphalt road places you right between dramatic forestry and the rocky shores of Lake Michigan and Lake Huron with majestic views of their deep blue waters. You’ll enjoy pristine air and the tranquility of the island at your own pace, as you ride past incredible limestone formations, trickling island streams, and numerous historic points of interest. Suitable for all ages and riding abilities, the perimeter tour can be completed at a leisurely pace within 1-1/2 hours, including time for photo opportunities and restroom breaks along the way. 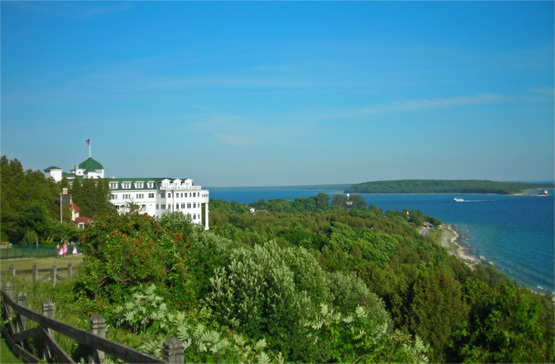 Spectacular panoramic views of the Straits of Mackinac are visible from the West Bluff Lookouts. The Attractions Tour lasts approximately 2-1/2 hours and covers about 3 miles, but this varies by tour. We recommend a 4-hour half day rental which leaves plenty of time to explore the island and the downtown. The M-185 Perimeter tour lasts approximately 1-1/2 hours and covers 8 miles around the island. This tour is on flat, smooth, paved highway. 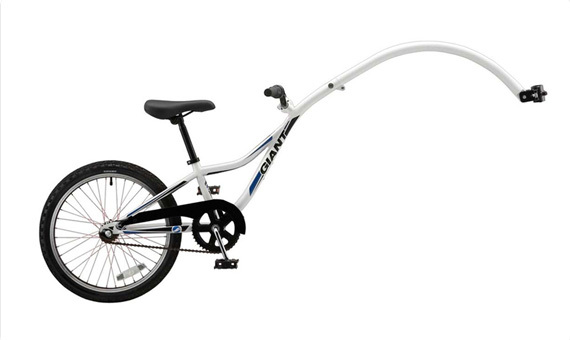 We recommend a two hour rental to allow for variances in riding ability. The Mackinac Island Bike Boys believe that those who choose the bicycle as their mode of island transportation are expressing a commitment to themselves, their health and the island way of life. Q: What level of rider do I need to be to take a self-guided Attractions Tour? A: Everyone will be comfortable on the self-guided tours. All of our tours operate on paved trails or the car free streets of Mackinac Island. Q: How long do the tours take and how far are they? A: The Attractions Tour lasts approximately 2-1/2 hours and covers about 3 miles, but this varies by tour. We recommend the 4-hour half day rental which leaves plenty of time to explore the island and the downtown. The M-185 Perimeter tour lasts approximately 1-1/2 hours and covers 8 miles around the island. This tour is on flat, smooth, paved highway. Q: Which bike would you recommend for the self-guided Attractions Tour? A: We always recommend the Island Comfort Special bike for this tour. 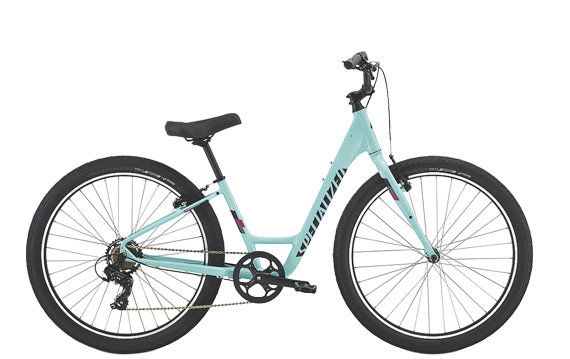 It comes in a multi-speed model, with a basket, fenders, high pressure tires, super comfortable upright geometry, and a big cushy seat. Q: Which bike would you recommend for the M-185 Perimeter Tour? A: If you’re taking the M185 Perimeter Tour, either our snazzy Island Comfort Special bike or sleek romantic tandem will be perfect. A: You should wear comfortable clothes and sturdy footwear (sneakers are best). We provide a bottle of water and rain ponchos as weather requires. Q: Can I customize my tour? 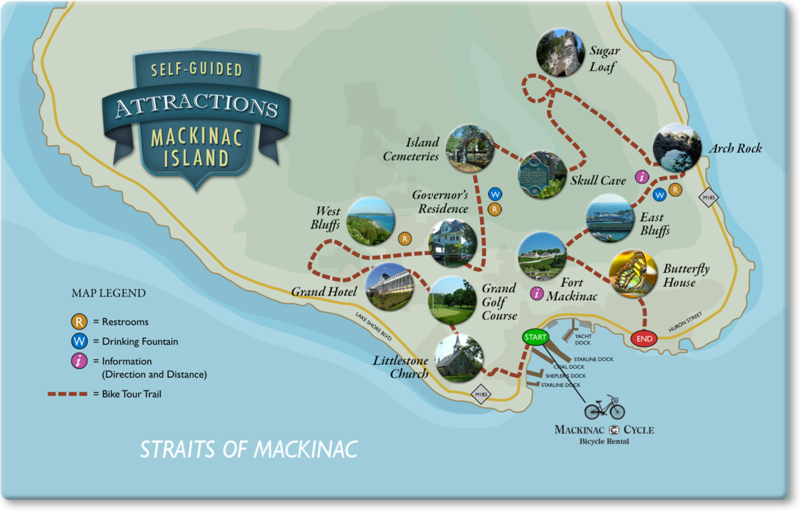 A: Please contact bikes@mackinaccycle.com and we’ll customize a tour for your special group. 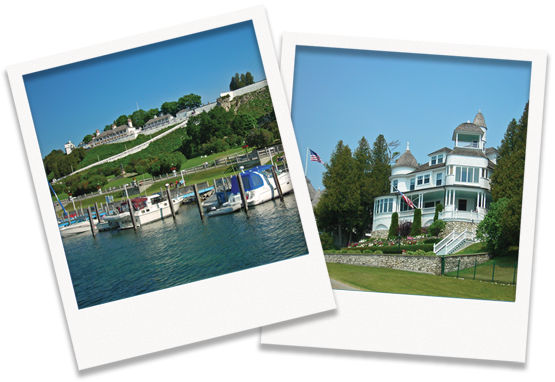 Q: What is the typical Mackinac Island Tour experience? A: First, you’re fitted with your bicycle, helmet, basket and accessories at our shop located on Main Street at the head of Arnold Dock, across from the Mackinac Island Visitor's Center. Then off you'll go to follow the easy to read, self-guided tour map. Q: I have small children. Can they take the tour? A: Of course. 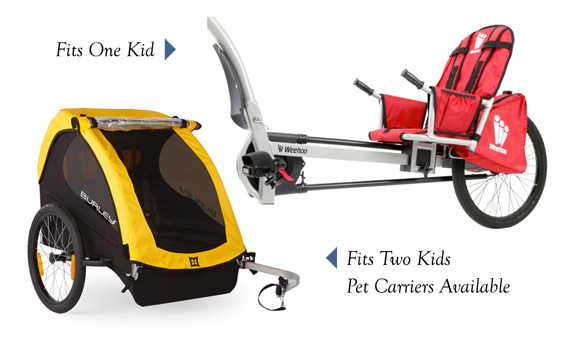 Our shop rents “trail-a-bikes”, "WeeHoo's and Burley" trailers that carry up to two children. The trailers are clean and completely safe. Many are designed to handle your car seat for carrying infants two to six months old. Feel free to call us to discuss your particular child’s needs at (906) 847-0047. We respect your privacy. We will not sell or rent your email address for any purpose whatsoever. Bicycle riders © Dave & Les Jacobs/Corbis All other logos and images are copyright by their respective owners. Join our newsletter* and get a Valuable Coupon. *We respect your privacy and you may unsubscribe at any time.